Gravitational waves, ripples in space-time predicted by Einstein's general theory of relativity 100 years ago, have finally been detected. "Ladies and gentlemen, we have detected gravitational waves. We did it," announced Dave Reitze, executive director of the U.S.-based Laser Interferometer Gravitational-Wave Observatory (LIGO) at a news conference Thursday morning. "I think we're opening a window on the universe," Reitze said. "Until this moment we had our eyes on the sky and we couldn't hear the music," said Columbia University astrophysicist Szabolcs Marka, a member of the discovery team. "The skies will never be the same." Reitze said researchers detected gravitational waves coming from two black holes — extraordinarily dense objects whose existence also was foreseen by Einstein — that orbited one another, spiralled inward and smashed together. They said the waves were the product of a collision between two black holes 30 times as massive as the sun, located 1.3 billion light years from Earth. 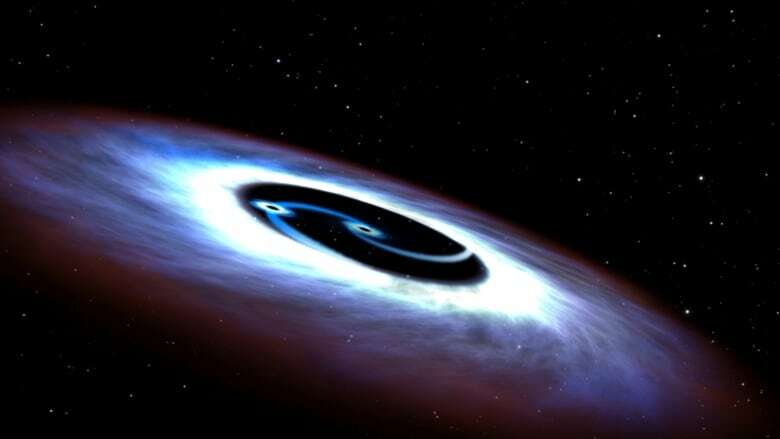 "This is the first time that this type of system has ever been seen and this proves that binary black holes exist," he added. The announcement was made in Washington by scientists from the California Institute of Technology, the Massachusetts Institute of Technology and the LIGO Scientific Collaboration, which includes scientists at Canadian Institute for Theoretical Astrophysics at the University of Toronto. Like light, gravity travels in waves, but instead of radiation, it is space itself that is rippling. Detecting the gravitational waves required measuring 4 kilometre (2.5 mile) laser beams to a precision 10,000 times smaller than a proton. 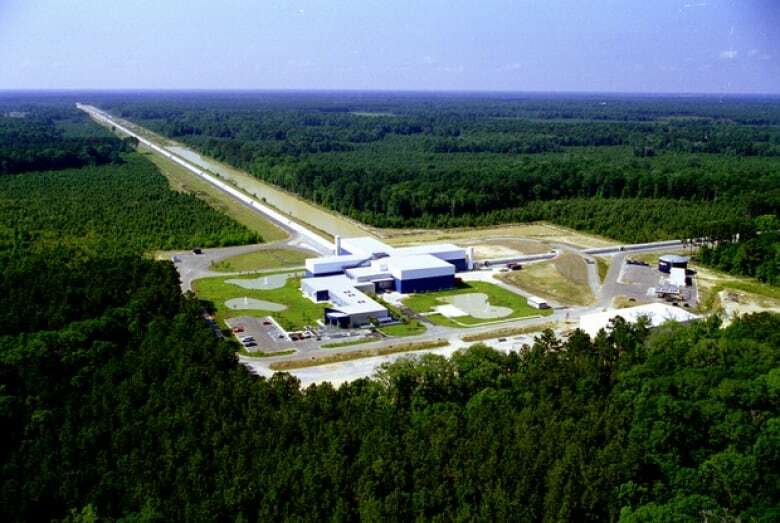 The scientists said they first detected the gravitational waves last Sept. 14. Harald Pfeiffer and his team at the Canadian Institute for Theoretical Astrophysics at the University of Toronto helped make the software used to analyze the data and look for gravity waves. In particular, they helped predict what gravity waves from different kinds of black hole collisions might look like. "It's easier to find things if you know what you're looking for," Pfeiffer told CBC News ahead of the announcement. infrared light, X-rays and gamma rays. But because such waves encounter interference as they travel across the universe, they can tell only part of the story.